For many of us when we think of uniformed personnel we think of respected individuals of a particular profession, service men and women, and even kids in school. Uniforms come in all sort of different designs, shapes, and types. Uniforms are meant to be worn by members of a certain organization. Such as participating members of a group or work may have certain embroidered logos on their clothing. When it comes to uniforms in particular we need to ensure that they stay the same at all times and the same for all members. It’s a symbol of togetherness and with our efforts in expert tailoring around Minnesota we will provide you with the best care in your next uniform. 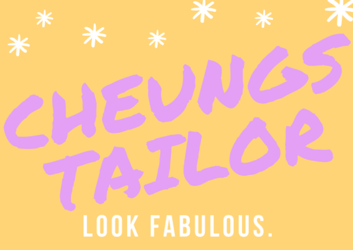 At Cheung’s Tailor Alterations we simply do our best to become well equipped with the right knowledge, staff, and skill-sets to provide the best tailoring in Minnesota for your uniform alteration needs. Working with organizations throughout Minnesota we have provided tailoring services to local, international, and highest military organizations. Having the right tailor to complete your next alteration necessary. Corporate businesses, blue collar employees, retail workers, post office workers, public security, health care workers, all branches of the United States Armed Forces, educational organizations, clubs, Veterans of Foreign Wars, bike clubs, sports clubs etc. School uniforms, construction uniforms, work uniforms, office worker uniforms, public worker uniforms, personal training uniforms, corporate uniforms,health care worker uniforms etc.